I'm looking to buy an e30 or e36 BMW and 99% of those don't have an OBD II port because they were made prior to 1996 but they all have the BMW round 20 pin I believe. I came across this adapter: and I was wondering if you could then just plug this into a normal OBD II scanner like this one: Foxwell OBD II scanner and get all the info from it like you would normally. Thanks. 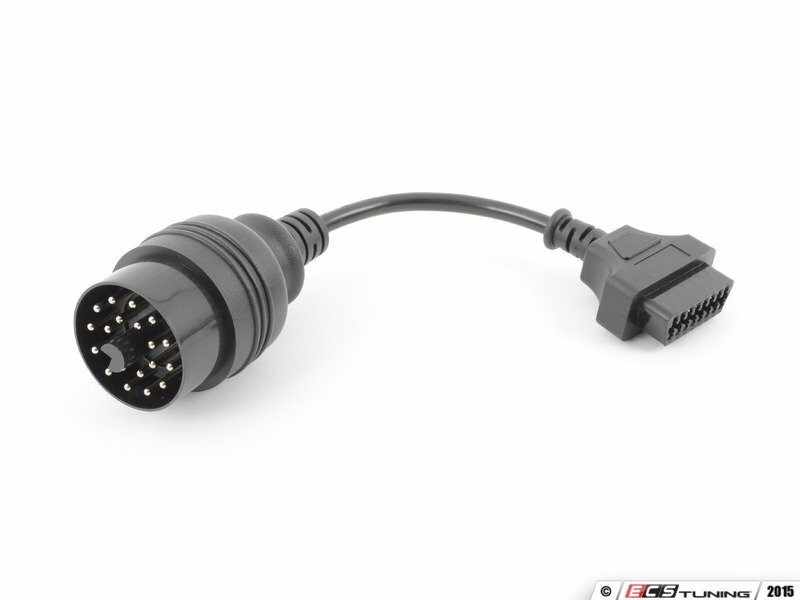 I have a similar ( or maybe same ) adaptor for my E46 ( 2000, where BMW did not run all the wires to the OBDII port in the passenger compartment ), and it works fine. Reads all engine and other module codes with my foxwell scanner. Your mileage may vary. Not the answer you're looking for? Browse other questions tagged obd-ii bmw or ask your own question. Which OBD II adapter to buy? Can I use “Designed for BMW” Michelin tyres with a non BMW? Does OBD II pin 16 output is always 12 Volt?